We’d love your help. Let us know what’s wrong with this preview of A School Compendium of Natural and Experimental Philosophy by Richard Green Parker. A school compendium of natural and experimental philosophy: Embracing the elementary principles of mechanics, hydrostatics, hydraulics, pneumatics, acoustics, pyronomics, optics, electricity, galvanism, magnetism, electro-magnetism, and magneto-electricity. 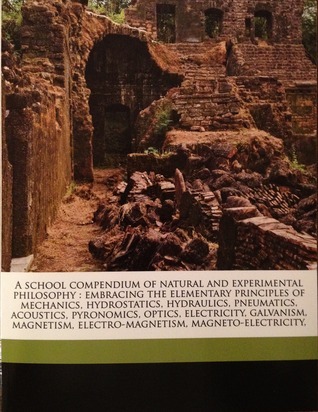 To ask other readers questions about A School Compendium of Natural and Experimental Philosophy, please sign up.